Double-Braided reins are 7′ long and 1/2” thick, one continuous rein made in the USA out of high quality materials. Finished out with leather slobber straps and snaps on each end for easy on and off. 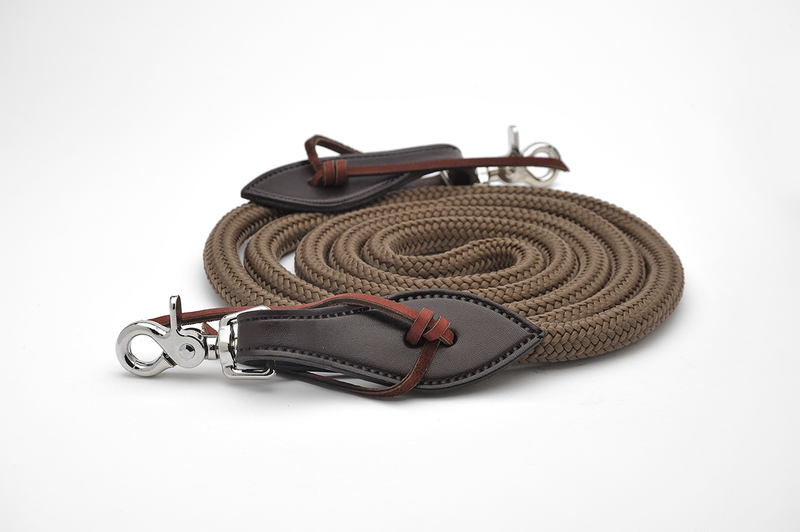 This double braided rein is soft and durable, great for Western or English riding. Available in Brown or Black. Double-Braided reins are 7′ long and 1/2” thick, one continuous rein made in the USA out of high quality materials. Finished out with leather slobber straps and snaps on each end for easy on and off. 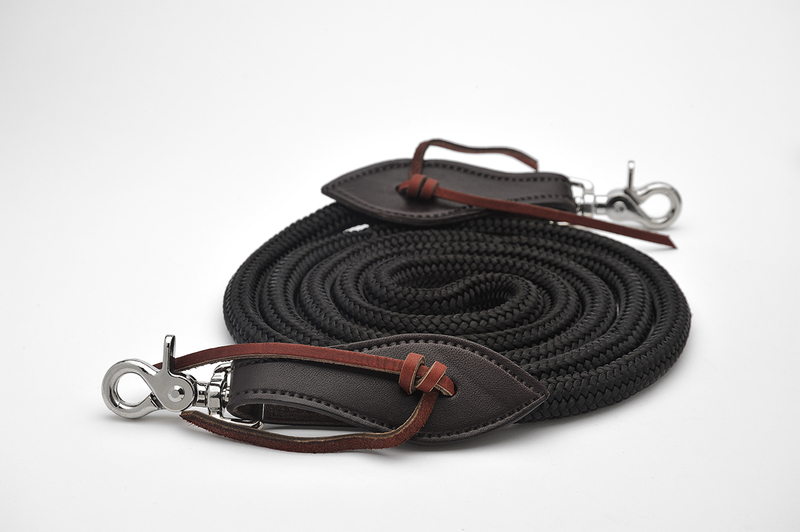 This double braided rein is soft and durable, great for Western or English riding.